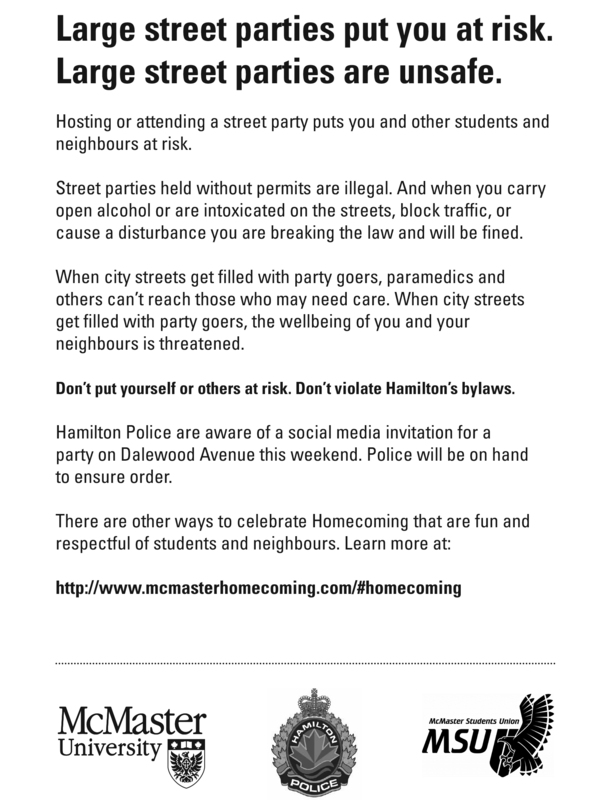 As students prepare for Homecoming on Sept. 14 the University and Hamilton Police are confirming significant plans are in place to promote a positive, respectful and safe experience. “McMaster works closely with Hamilton Police Services, the City, the neighbourhood associations and the McMaster Students Union (MSU) to enable events like Homecoming to be held while ensuring the safety and enjoyment of our community,” says Sean Van Koughnett, AVP and Dean of Students. This year, the University is funding additional police patrols around campus. Hamilton Police is bolstering uniformed patrols. There will be a zero tolerance approach to large scale street gatherings or anyone found consuming or carrying alcohol on streets. The MSU’s Student Community Support Network (SCSN) runs Tenant Rights and Responsibilities, and Bylaw awareness campaigns and educates students through peer-to-peer communication. McMaster Security and Hamilton Police have developed operational plans and proactively identify likely party hot spots. 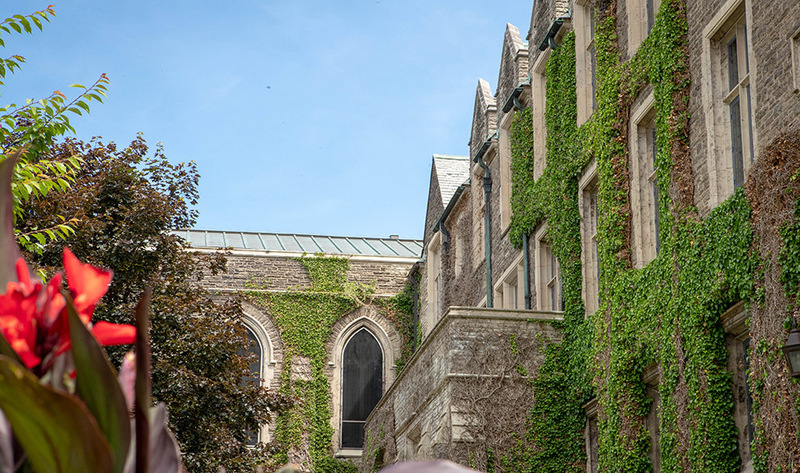 “While Homecoming is a great way to enjoy the McMaster campus and community, students should understand they have a responsibility to be good neighbours and to act responsibly,” says MSU President Ikram Farah. “Having a good time doesn’t mean partying in public streets and interfering with your neighbour’s peace and quiet. Whether on campus or in the community, Homecoming celebrations should be respectful as they are enjoyable. Let’s enjoy this special time of year together in the spirit of being great community partners,” she says. Extra Special Constables and third-party security will be on campus throughout Homecoming to help ensure safe and respectful events. Homecoming weekend kicks off with 6th annual Expo on BSB field on Friday, September 14 from 10 a.m. to 3 p.m. Programming includes a concert taking place in Burridge Gym featuring Roy Wood$ with special guest Aaron Aye. The inaugural Homecoming Street Festival in Westdale begins Saturday at 10:00 am. There will be live music, free giveaways from campus partners, local vendors, licensed patios, and photo boots. In the afternoon at 1 p.m., the Marauders will face the Toronto Varsity Blues during the Homecoming football game. Women’s and men’s soccer and women’s rugby are competing throughout the weekend. The Alumni Association is hosting a Brandon Hall Reunion for the first year of the residence in 1998 and a Geology Reunion on Saturday. More information about McMaster Homecoming and ticket details can be found on the website.